This is a vintage Men's necktie by Romano! This 100% Polyester tie measures 4.5" wide and 29" long when laying folded over (as in the 1st picture). 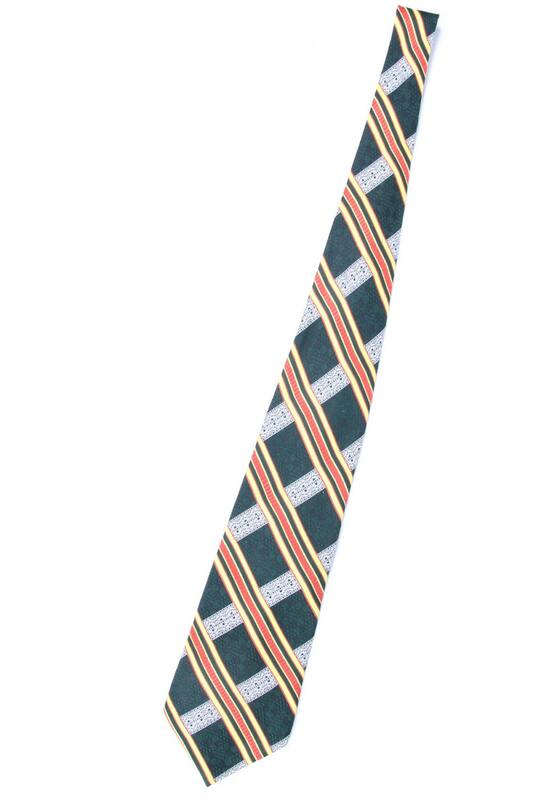 The tie has great color with a green background and Yellow and orange stripes! Contact us with any questions. - Please view all images before purchasing and contact us with any questions.